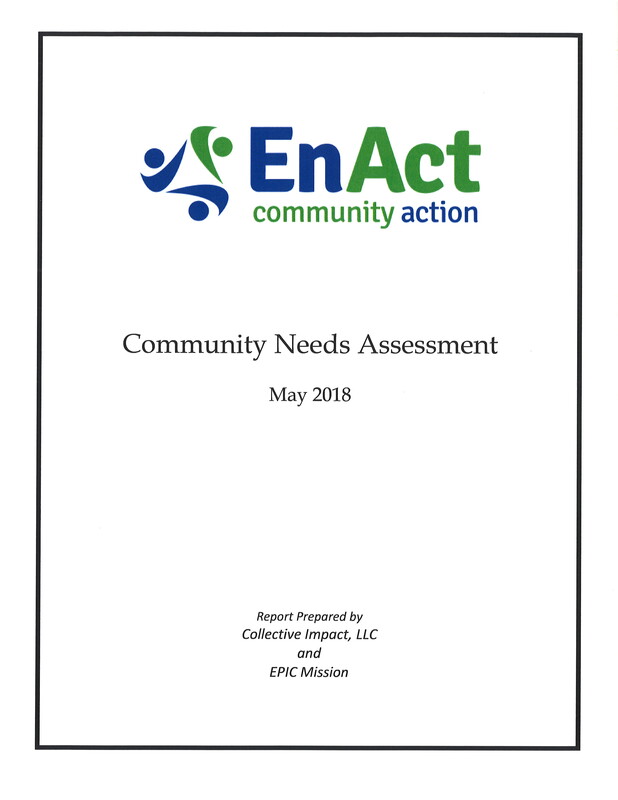 EnAct Community Action has completed its 3-year Comprehensive Community Needs Assessment. The purpose of the Community Needs Assessment is to develop a comprehensive report of key findings about local community conditions to be used by EnAct Community Action and its partners for planning, education and outreach, and resource leveraging and mobilization efforts. Conduct a local assessment of needs by compiling county-level data. Collect and analyze primary data by gathering community feedback through surveys and community discussions. Collect and analyze secondary data by researching national, state, and local data sources. Utilize data collected in EnAct’s customer outcome tracking system. Facilitate a planning and analysis process with community partners that identifies priority needs in each county served by EnAct. The process to develop the Comprehensive Community Needs Assessment involved community meetings, surveys completed by program participants, and a separate survey completed by service providers. In addition, basic research data, demographics, etc. on the five county area are included in the report. The Community Needs Assessment is available at no charge to any individual, community organization, or business to assist them in providing much needed services to the low-income individuals and families in the five county area. A complete copy of the report, as well as individual county reports, may be found under the Resources tab on the website.